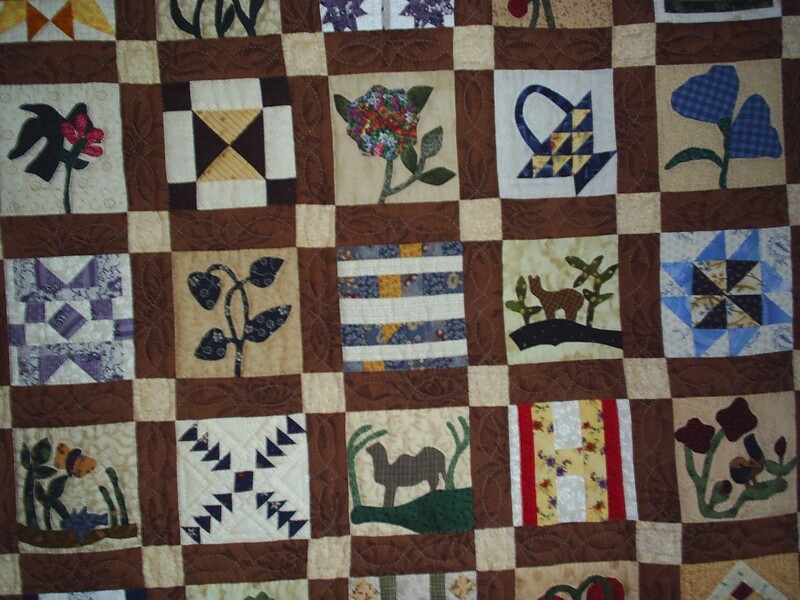 Here are a few more quilts from the Busy Bee Quilt Show and another teaser about the Blue Nickel contest. 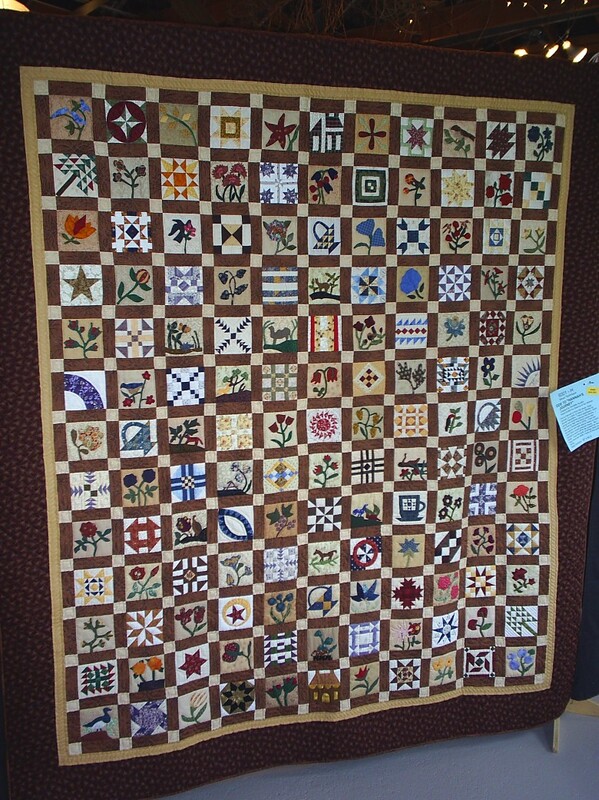 Now here is another quilt from the show. This one is not as colorful as I would like, but very traditional which is nice. What I liked about it was the small detail and great variety of all the blocks. and here is a closeup… sorry for the lack of crispness in the closeup. Linda and I are planning on getting a new camera for our anniversary that will “solve” that problem? So tonight when I get home from my day job, I will announce the Blue Nickel Challenge. I have to finish my sample for it, and put together one of the prizes. I will give you a hint. 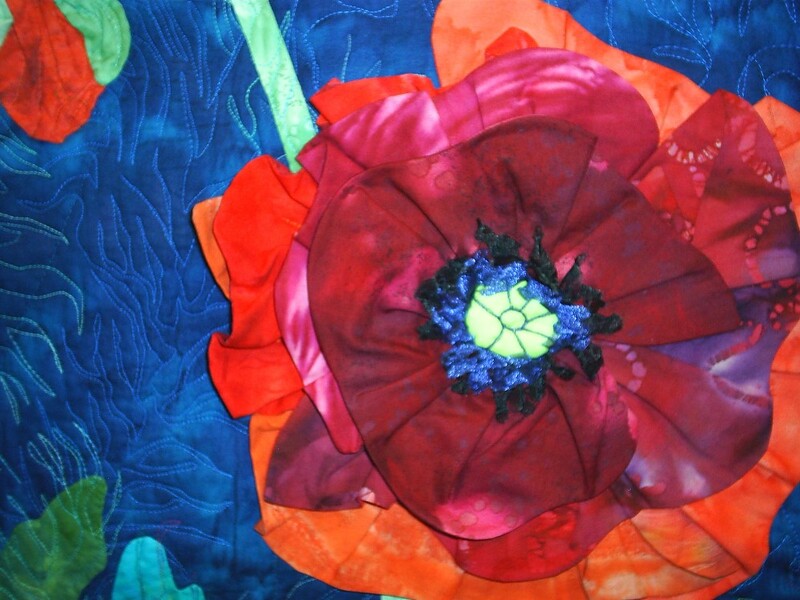 The project is a take-along project and involves more than just fabric. The contestants will make this item and then send me pictures, which I will post on my website. All contestants (and any of their friends, relatives, etc) will come to the site to look at the pictures and then vote on their favorites. The winning entries will get a gift pack from Blue Nickel Studios. Sample gift pack and project will be posted tonight. I am looking forward to being able to share a fun project with a bunch of creative people and to make new “blog-buddies” as Melissa at Yummy Goods calls ’em.